Community Blog by nekobun // Without Slenderness, there's something missing. Since its inception on the Something Awful boards back in 2009, the Slender Man mythos has been creeping its way across the internet's collective consciousness slowly but surely. With several Youtube series still in production, and more cropping up every few months, and whole schools of debate in regards to what constitutes Slender Man "canon," it's no surprise everyone's faceless, scary friend found his way into the world of gaming. 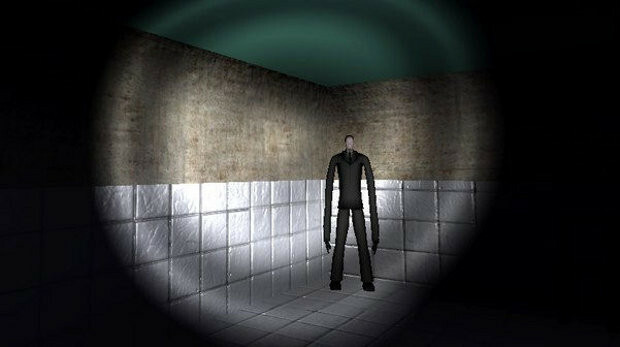 Thrown together by Mark Hadley in Unity, Slender was never expected to catch on in any real way. However, its dedication to the "slow build" school of horror and excellent attention to audio and sound design (thanks to Mark being more of a musician than a programmer, as he admitted in a Penny Arcade interview) soon found a trail of playthroughs and reaction videos cropping up that would extend for miles upon miles were they recorded on actual film. Drawing, to some extent, upon concepts and visuals from the Marble Hornets series on YouTube, Slender drops the player in the midst of a dark, wooded area, and charges them with collecting eight pages, with cryptic, scribbled notes on them about the Slender Man. As you collect more of the pages, which are pinned randomly to various landmarks throughout the area (there are more landmarks than notes, and the spawns are different each playthrough), the subject of the notes himself chases you more and more closely, and the ambient music grows in intensity. Armed only with a flashlight and the ability to sprint short distances, Slender becomes an exercise in reserving your stamina in case you need to make a run for it later on in your collections, and trying not to panic whenever the screen begins to fill with static, indicating Slender Man is close by. Sure, it seems pretty simple from that description, and not all that scary. Frequent criticisms of the game, often from those who've experienced Slender solely through others' experiences without trying it for themselves, mention that it appears to operate solely on jump scares, and that's not altogether incorrect. However, those jumps, paired with the pervasive, looming sense of dread the game engenders, make for an engrossing horror experience that delivers much more than the tools it was built with would be expected to achieve. 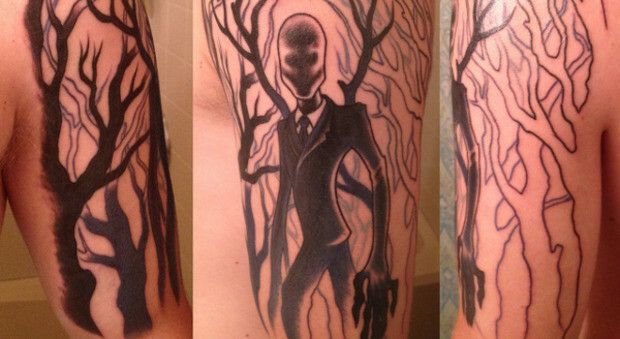 As if the original Slender weren't enough, however, the game's legacy seems to be expanding as of late. Under the name Slenderman's Shadow, the duo of Marc Steene and Wray Burgess have taken the core concepts of the game and begun building their own overhauls of Slender, with new levels, all set indoors so far, and slight variations on the objects of collection. As of right now, there are three games available at their site; Sanatorium, Hospice, and Elementary. Sanatorium takes place in what, it seems, is intended to be a dilapidated mental hospital, though for all intents and purposes, it seems more like a high school. 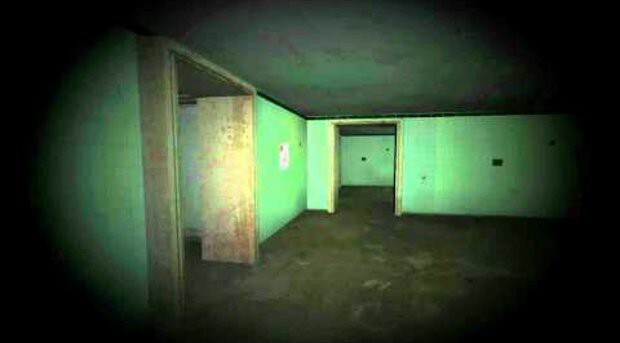 Lacking the random spawn points of its progenitor, success in Sanatorium relies more on finding the most efficient and least death-trappy order in which to retrieve the pages hidden in different rooms, and then finding one's way to the game's start point without the aid of a flashlight and very little ambient light with which to work. Things feel a great deal more kinetic than in Slender, and it's a great deal easier to avoid getting lost, but this is offset by a longer reach and shorter warning time on Slender Man's part. Slendy can also prove to be quite the troll, should you leave the pages in dead-end rooms for the end of your run. Hospice, on the other hand, is much more labyrinthine, with same-looking rooms in a crumbling, medical residence facility making things that much more confusing. There are some select landmarks that help a bit, and the addition of a stash of eight glowsticks to the player's inventory seems meant for leaving a trail or marking already-visited rooms, but the facility is sprawling enough that such a Hansel-and-Gretel move is only slightly helpful. This time around, the notes in question comprise lines of a poem about Slender Man you're attempting to complete, which is displayed as far as you manage to collect following your demise. And Elementary, the third offering from Slenderman's Shadow, takes place in an abandoned school building, expectedly enough. With an introduction accompanied by a recitation of Ring Around The Rosy, a creepy mood is set right off the bat, and is quickly ramped up once you find yourself searching for teddy bears that have been impaled on brutal-looking hooks on the walls of certain classrooms. Other hooks feature human bodies, presumably some of the teaching staff, and there are clear signs of violence and struggle in many areas, in the form of bloodstains and scattered furniture. One of the best parts, however, is the wide, open courtyard in the center of the level, which offers a clear view of the darkened sky above and is just cluttered enough to offer Slendy plenty of places from which to pop out. On top of what they've delivered thus far, the Slenderman's Shadow crew have at least seven more maps due to release by the end of 2012, including Mansion, which is expected as soon as September 8th. Clearly aware of and engaged with their fanbase, their site also features a tiered donation bonus table, from getting your name on the donors list for as low as $2.50, to letting contributors suggest and help design a level if they have $100 sitting around. They also feature a sizable archive of reaction videos and a few vids documenting their design process, and are open to submissions from pretty much anyone. It was surprising enough to see the rise of the Slender Man mythos in and of itself, and it's exciting to see the games that have spun off the original meme rocketing into their own cult following in a similar fashion. Between Slenderman's Shadow, and forthcoming projects like The Intruder, it seems as if Slender Man has single-handedly (or single-tentacledly) brought about a renaissance of survival horror, even as the stalwarts that created the genre of the first place (like Resident Evil and Silent Hill) collapse into relative mediocrity. If you're looking for some solid spooky, check out Slender and the Slenderman's Shadow selections, and make sure you play with headphones on and the lights off.